Gamebookers was funded in 1998 and now it has online and telephonic license and headquarters in Great Britain, Ireland, Austria, Romania. With over 350,000 customers all over the world, Gamebookers is one of the leaders of the online sports betting market. It has very good odds a friendly interface and many fast and easy to use payment methods. It also has a good betting service on mobile: WAP, free messages, with results send by SMS and payments through Paybox. This sportsbook has a great cover in football betting, so, no matter where you are, you can bet on any football game you wish. It has a large betting variety: competitions/championships, break/ending, under/over, the right score, Asian handicap, double chance, combined bets, live bets and a betting platform p2p. If you want to sign up on Gamebookers, you can deposit the money using the credit/debit card, bank transfer, Paysafe, Moneybookers, Neteller, Entropay, Citadell Vallet, Instant Banking and Quick Pay. The currencies accepted are: Euro, USD, GBP, RON, HUF and PLN. If you sign up at Gamebookers you will get a sign up sport betting bonus of 20 GBP if you play it 6 times at odds of minimum 2 before you have cash out. It is important that you request the bonus in maximum 90, otherwise you will lose it. The website has modern security measures to access the accounts, personal data and cash. The betting options are securitized, using the technology Secure Socket Layer (SSL), with high security of 128 bytes, certificated by Thawte. Gamebookers uses the software PartyGaming, tested by iTech Labs. This software is known as being very easy to use and trusted software. 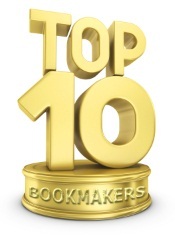 As you can see, Gamebookers is a professional bookmaker and you can be sure that it will not disappoint you. It is easy to use and you do not have to worry for your money or personal data, because of the security system that is great.